Students of color deserve educational materials that better represent their group identities and honor their individuality to include and engage them in their learning experience. A child growing up today has unprecedented access to books, from audiobooks played through apps to the seemingly old but always relevant printed book. In this world of easy access to text, there is still something missing: books that represent all children. A student of color must scour the children's aisles to find a book that even in the most remote sense reflects him or her. It's seemingly innocuous how a multitude of sample math problems reference Tom or Sally. The innocent white faces gazing up from textbooks unknowingly remind students that as the U.S. becomes more diverse, our materials and resources still fail to do so. A study by the Cooperative Children's Book Center showed that of the 3,200 children's books published in 2013, only 93 were about black people. At a time when the black population represented approximately 12 percent of the total U.S. population, they represented less than one percent of children's books produced. The numbers are no better for other ethnic groups, as books representing American Indians, Latinos, or Asians all fail to push relevant numbers. The message from publishers and authors, however unintentional, is simple: Our teaching practices may change, our country may change, but the "standard student" does not change. In creating an inclusive pedagogy, a task that many pledge to do but find the application difficult, we must remember that the text we select demonstrates our values. 1. Change the names. To be clear, what we don't want is tokenism. We want to avoid the current rash of "diverse" tests that are no more than racist stereotypes in print. There is power in adapting the problems to our students' contexts and love in allowing our students to see themselves in their work. We encourage them by having them solve real-world problems on paper before they go out and make those changes in their own lives. Opening my textbook to look at sample problems reveals the constant repetition of names that the majority of my students don't share. Changing the names to represent our students, to represent the diversity that is apparent in the world around them, is a simple way to help. 2. Search out new authors. Emily Dickinson will live on as a part of the literary canon, but Nikki Giovanni is a relevant supplement. The stories of Edward P. Jones make a great addition to any class. Adding authors from different backgrounds allows students to find themselves in resources and their voices in shared experience. 3. Be unafraid of real histories. The movements to change Columbus Day to Indigenous People's Day are gaining momentum, but your classroom can take a stand on its own. Our history textbooks continue to share narratives of supremacy, subjugation, and inferiority. How can we expect students to grow when the history that we tell them is purely of enslavement and subjugation? Embracing authentic text, providing context to the events that have shaped American history, and allowing a critical eye to fall on events that are regularly taken for granted supports students in growing their cultural identity and their place in the world around them. There has been a steady push for diverse books. Most notable are the pushes of #WeNeedDiverseBooks and @writersofcolour. Publishers have been called to task for not producing enough books that represent all children and their multitude of differences. While the increases are promising, we must not settle for just a few more books each year. We must change what it means to create books and what the standard is for all of us. 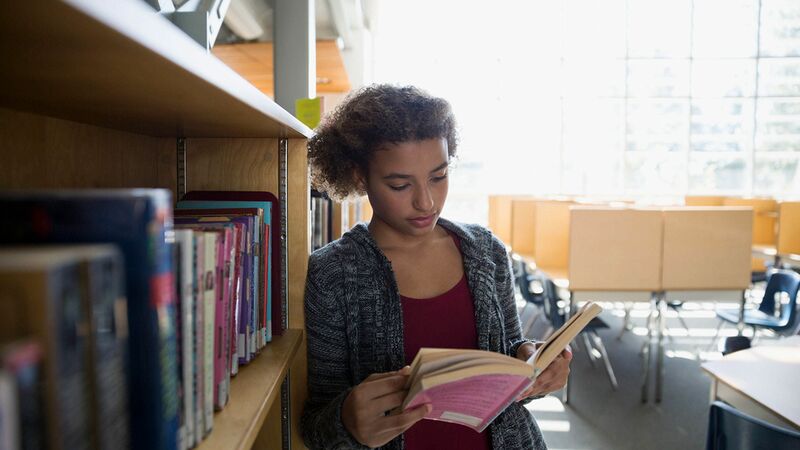 Students have to experience books with black characters whose characterization goes far beyond simply being black. For too long, we have accepted characters that were stripped of depth, growth, and complexity, simply to produce a book or movie that appears inclusive. Lin-Manuel Miranda, creator and star of the Broadway hit Hamilton, has made this a constant theme in his current work. Characters discuss "erasing themselves from the narrative" or "placing myself in the narrative" to show that history not only glorifies some for no good reason, but that it also diminishes others based on what we value. Hamilton, #GirlsLikeUs, @BlackGirlNerds, and podcasts like TWiB have helped change what we understand as beauty, change the narrative present in mainstream media, and claim a place in communities that have spent much of their power excluding others. By expanding our resources to change how we think about scenarios, names, and groups that our students can be a part of -- or that they already belong to -- we can provide them with relevant and concrete affirmations of our belief in their abilities and successes. How are you incorporating students' experiences into the educational resources that they use?